Windows 8 will be released this Friday, October 26. If you’ve already made the decision to upgrade, you have two new user interfaces and Windows Store apps to look forward to. 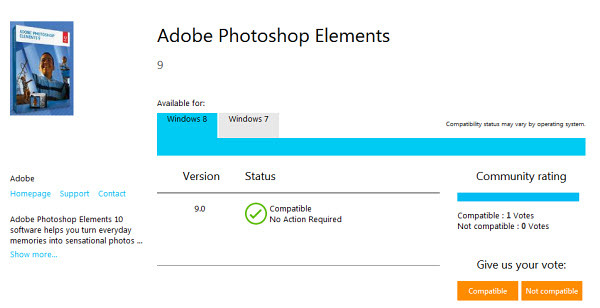 You’re supposed to be able to effortlessly upgrade older versions of Windows to Windows 8, according to Microsoft. In a perfect world, operating system upgrades work without issue. If you have important programs or files on your computer that you don’t want to lose, you’ll want to be prepared for the possibility of an upgrade failing. Here are helpful tips to help you prepare for an upgrade to Windows 8. These are pretty simple requirements for most PCs to meet. Nevertheless, double checking your PC before jumping into the upgrade can save you a lot of potential grief. 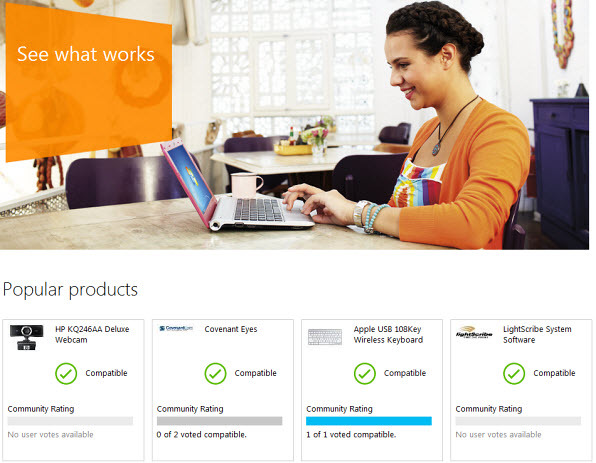 If you have products and programs you’d like to transfer over to Windows 8, Microsoft offers a simple way to verify compatibility on its website’s Compatibility Center. This site will allow you to browse popular programs or search by a specific name. If the product is compatible, you’ll see a green check mark with a circle beneath the product name. Clicking on the product name will take you to a page that gives you further details about which version of Windows 8, if any, it’s compatible with. Windows 7’s Business and Home Premium versions come complete with a Backup and Restore applet that will let you image your disk. This is a great way to back up your current system and ensure that you don’t lose anything during your upgrade to Windows 8. 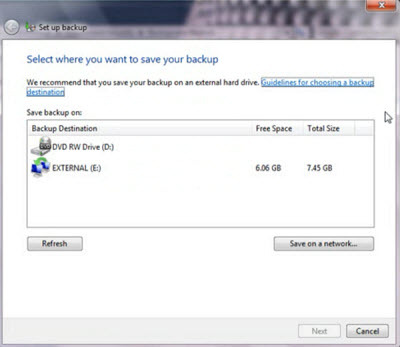 All you have to do is open this tool from your Windows 7 Start menu, choose where you want to save your disk image (usually on an external drive), and select the data you want to back up. Microsoft offers more detailed explanation of the process, as well as answers to frequently asked questions, on its website. Alternatively, you can browse through our selection of system backup tools and get the job done that way as well. Just in case something doesn’t go as planned with your backup of Windows 7 or upgrade to Windows 8, and your programs don’t end up installing as planned, you’ll have to reinstall them manually. With paid software, you’re going to have to know the license key. This is why it makes sense to compile and organize this information before you attempt to upgrade. If you no longer have or are missing some of your software licenses or keys, give a program like Belarc Advisor a try to see if they can be retrieved before you begin your upgrade. Belarc Advisor has a specific Software Licenses section that compiles license and key numbers, as well as other useful information. One way to back up your files is to transfer them to an external hard drive. Another way is to save them to the cloud. Programs like Google Drive and Dropbox provide free space for you to do just that. You can organize your files into specific folders, and purchase more space if needed. Cloud Store also lets you view and access your files on other computers or devices, making it a convenient way to ensure your files are available for you no matter where you happen to currently be. Once you’ve made sure your new computer meets the minimum requirements for a Windows 8 upgrade, and have backed up all of your important programs and files, check out our guide on how to install Windows 8. Be sure to let us know how it goes in the comments!